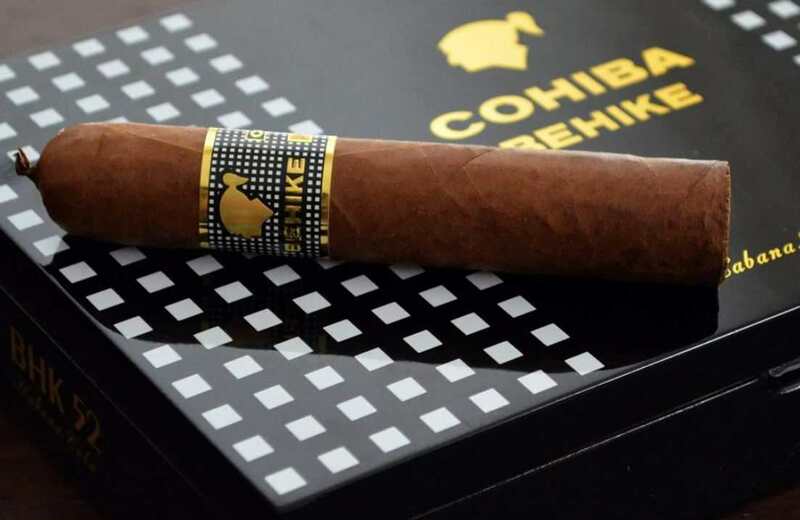 One of the most thought after cigars in the world is the Cohiba Behike. 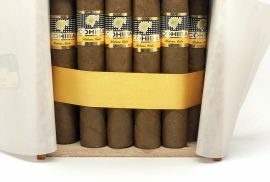 The top line and most expensive regular production cigar from Cohiba. But what makes this cigar so special and so scarce if it is supposed to be a regular production cigar? Let’s find out a bit more about how it came to be and what makes it so special. Behike is the name the indigenous people of Cuba gave to their shaman, to whom the tribesmen made offerings, mainly consisting of tobacco. 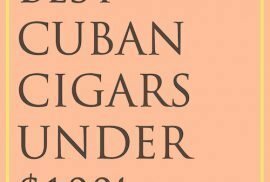 Once the name was chosen for this cigar, the top 3 tobacco growers of Cuba, Pancho Cuba, Alejandro Robaina and Antonio María Paz, where consulted in order to select the best leaves for this cigar. The cigar was decided to be made in the iconic El Laguito factory with leaves with up to 6 years of aging and in three sizes which where the Behike 52, Behike 54 and Behike 56. Each number representing the different ring gauges of the cigars. These ring gauges are bigger than most cigars including the robusto, but this is done for a specific reason. The reason this cigar is so large is in order to accommodate its best attribute which is the medio tiempo leave, a 4th type of leave used to make this cigar. The medio tiempo is very scarce, as it only grows on the uppermost part of the tobacco plant and not all tobacco plants produce these leaves. Even the plants that produce the leaf do not always produce it and are very depending on the climatic conditions of that year. 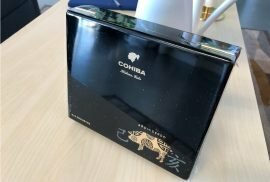 This is the reason why the Cohiba Behike is so rare, but also why it is so unique and flavourful.